Miles of nothin’ but this….. Brother #3 who lived in Ontario briefly, warned about the tedium of crossing Ontario. “It’s miles of nothing.” Being that #3 is more likely to be watching TSN than the travel channel, we took his warning with a grain of salt. 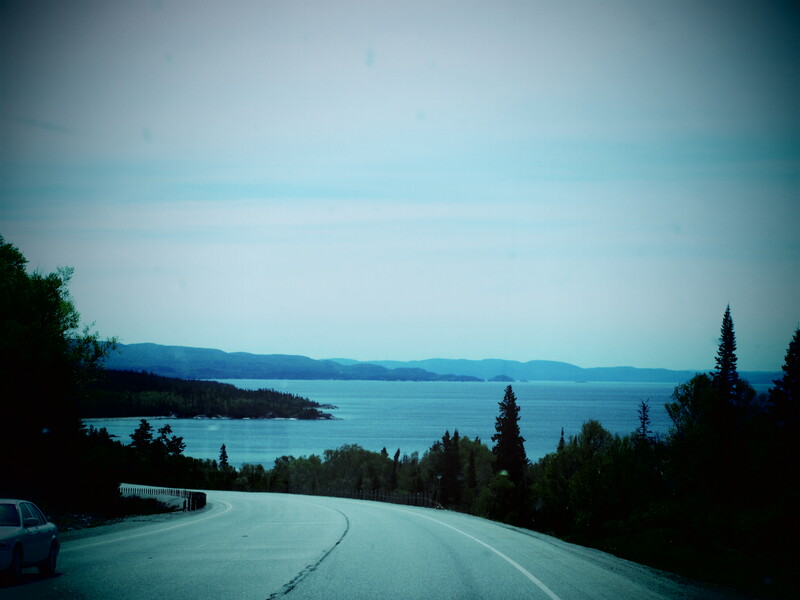 With Wawa and the feather-challenged geese in the rear view mirror, we head towards Sault Ste Marie into the ‘miles of nothin’ that reveal endless thickets of trees punctuated by breathtaking views of Lake Superior, dotted with islands and so vast it reminds former West Coasters of the ocean. 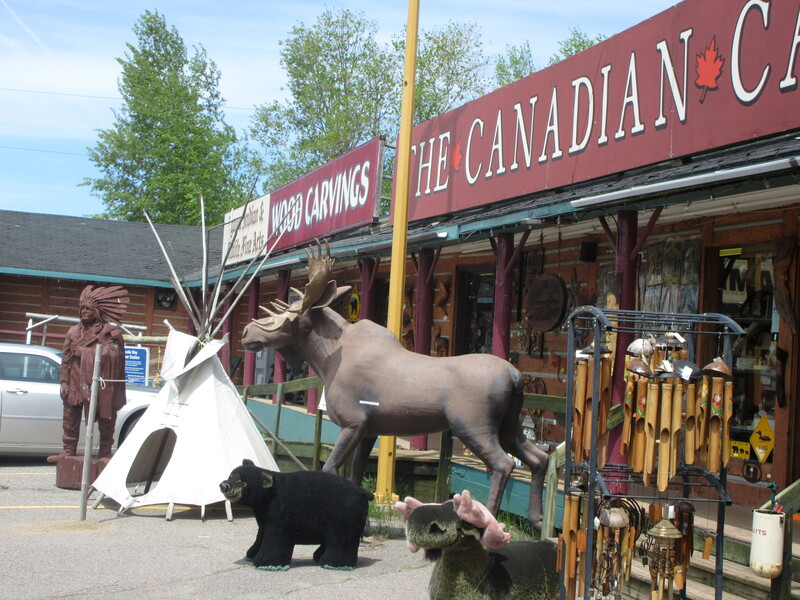 Native trinket stores abound. Want your picture taken beside a giant moose or bear, they’ve got you covered. Want a t-shirt with a pithy saying about how old and entitled you are, or one related to your beer obsession, they’ve got that as well. Inside are a mélange of strange foodstuffs; jalapeño popcorn, gigantic warty pickles and chocolate covered hotdogs (okay I made that one up). In sharp contrast are the impressive wood carvings of First Nation artists, from tiny animal figures to huge but intricate creations like eagles in flight or turtles swimming out of stumps, all carved in intricate detail. Sault Ste. Marie is a city that got it right. 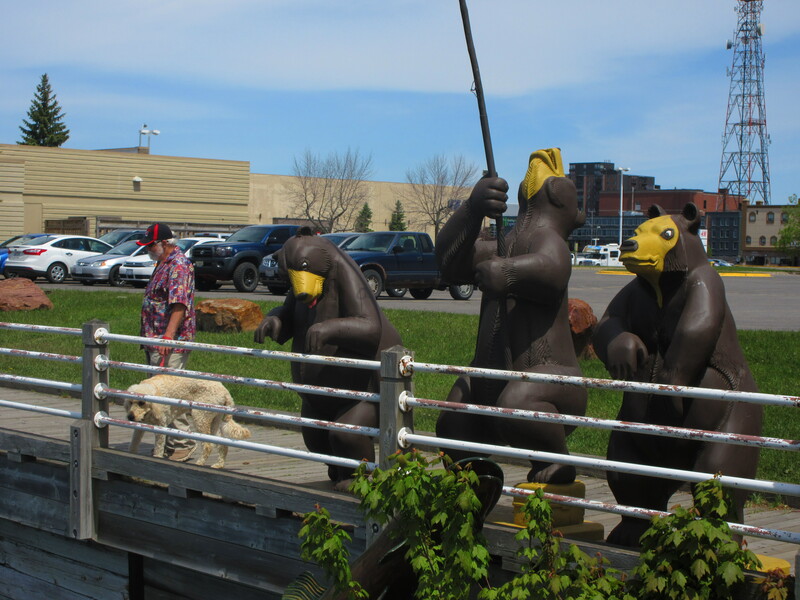 Blessed with an abundance of downtown waterfront, the past city fathers (sexist, but city mothers doesn’t sound right) dedicated land for a linear park along the St. Mary River which connects Superior with Lake Huron. At the end of that walk is Whitefish Island, stolen from the Ojibwa First Nation but returned after a court battle. 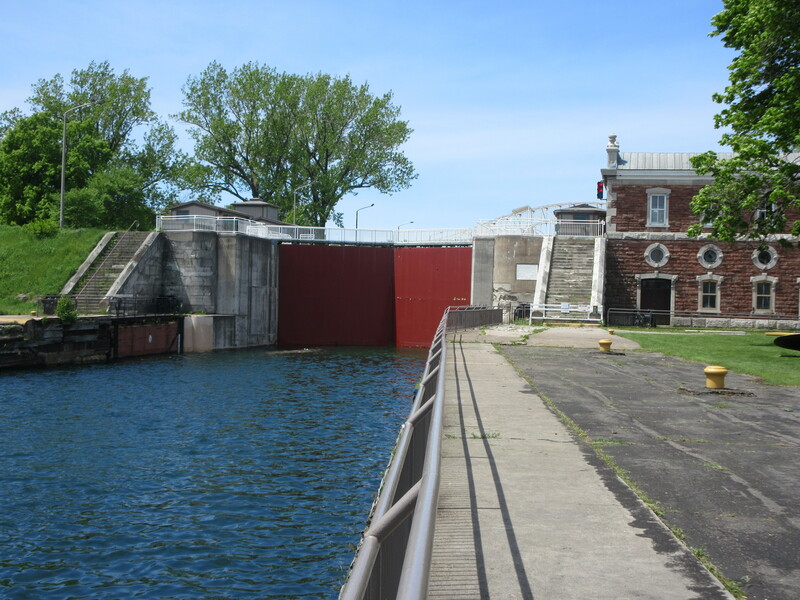 The route allows a close-up view of the locks. I know now why engineers get the big bucks. The planning and execution that goes into designing a system that allows a ship to transfer from one body of water to another without flooding out an entire city is impressive – gold star engineering nerd, gold star. Maybe you’ve heard of cottage country in Ontario. Cottaging is a fluid definition out here, sometimes the cottage is a ratty rundown travel trailer on a lot near a lake or it could mean a kabillion dollar home on the water. 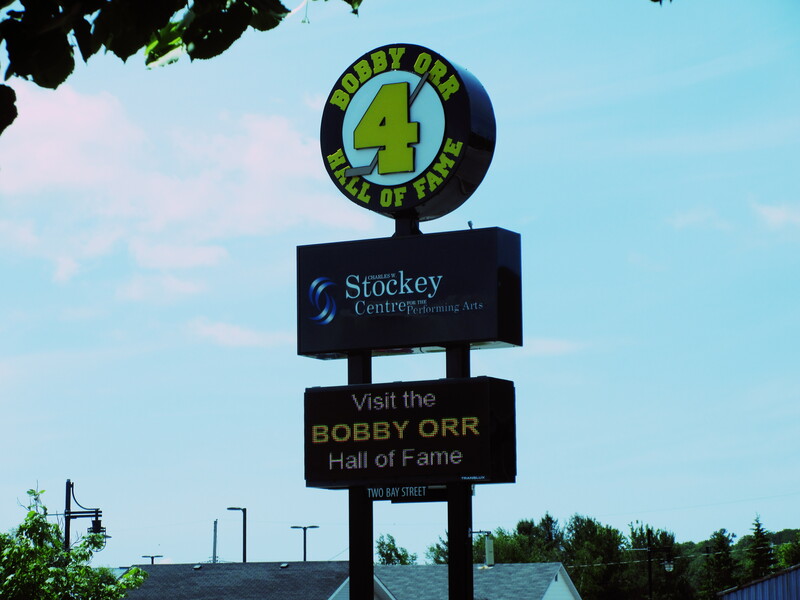 Parry Sound, in the heart of cottage country, is most famous for being the boyhood home of Bobby #4 Orr. 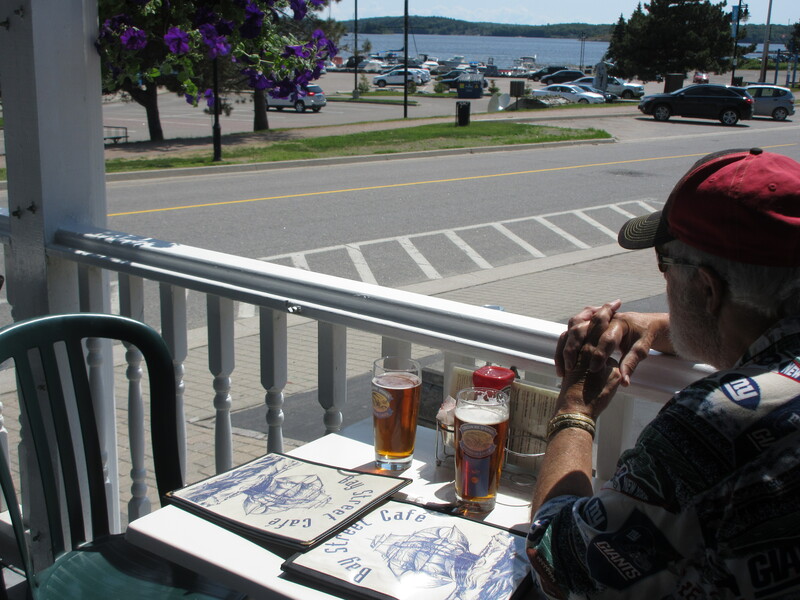 A museum housing memorabilia of his storied career is on the waterfront. I can’t tell you what type of memorabilia because it was closed when we were there, as were the public bathrooms which apparently only open Friday to Monday, a lot of crossed legs and pained faces downtown Tuesday to Thursday. We settle at a KOA outside of Parry Sound. KOA’s, in case you didn’t know, are the McDonalds of the camping world–ubiquitous, clean, efficient and staffed with well-trained yellow-shirted employees. Oh, one difference from McDonalds – expensive. 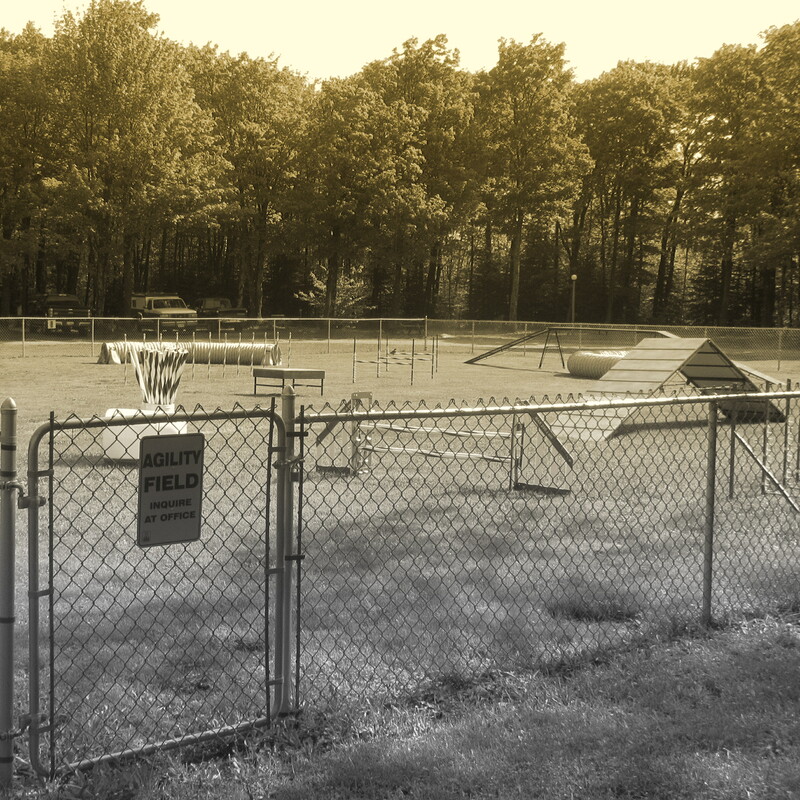 Somebody’s got to pay for those yellow t-shirts and the dog agility training area. The Dog refused to try it out, sniffing that he wasn’t some trained monkey who did tricks on demand or was that the Dude? Good post! We enjoy the updates so keep them coming! Thanks Mr. H weâre on it! Your blog is well crafted, always an enjoyable read. Kirsten and I just got back from Ontario and stayed in Severn Falls which is about 120km south of Parry Sound. We highly recommend you try to check out the Big Chute Marine Railway, and the Severn Lodge two sites with a great history. Enjoy your travels!!!!! Thanks you guys, each day is a surprise on our travels..it’s like being back in school with all the learnin’ but school with endless recess and drinks. Thanks for the tips, hope you enjoyed the trip east, it’s beautiful country out here!